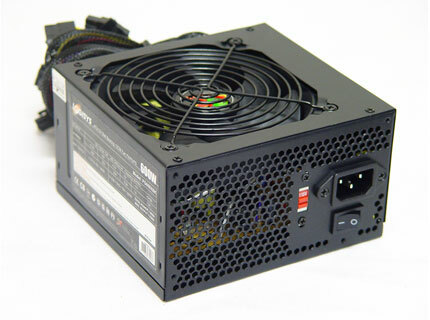 The 600W power supply, with its non-finger print black coating comes with a quiet 120mm ball bearing fan. It also comes equipped with one MB connector, four SATA connectors, dual PCI-e connectors, one FDD connector, four P4 connectors and two generous six Molex connectors with the cables sleeved in black. Also the unit is SLi ready.